Our bookkeeping team specialise in servicing small to medium sized businesses and draws on our wealth of accounting experience. With expertise in the major financial software packages we are able to tailor a solution to your requirements. 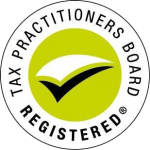 the annual accounts that need to be produced in order to calculate your tax liability can be completed in a more efficient way, thus saving on your accountancy charges. With our experience we can take this laborious bookkeeping task away from you. Not only this, but we can arrange monthly or quarterly meetings with you to discuss your management accounts, cash flow forecasts and performance against target. We will make sure you then have the time set aside to work within your business to making appropriate and timely financial decisions, such as setting appropriate marketing budgets, identifying cost cutting opportunities and deciding upon relevant capital expenditure investment. We provide an initial consultation (no obligation or charge), and can meet with you to discuss your requirements and offer a solution tailored to best suit your needs.